Several years back I attended a Lindamoodbell Visualizing and Verbalizing training course. I absolutely loved the program and felt it fit in well with many of my students needs. I mildly advocated for the program to become part of the curriculum. Not necessarily the more organized reading part but at least the initial steps. Clearly someone had thought of this before me because the grade level work books were stored in an upstairs office. I’ve never been given the opportunity to use the program with any vigor because of the lack of time an other needs. I have created many of my own materials (photographs) to work with students at different levels (age and developmental). I would love to hear from anyone who has had the opportunity to use the program consistently or who works in a school system that has adopted V and V as part of their curriculum. I often see teachers using visualizing techniques within the classroom. However, instruction is usually random and not sequential. That’s what I like most about the program is that it is sequential. Below is a reflection paper I wrote after the training. Please share your experience with the program, successes and failures and buy in from administration and teachers. While I believe V and V is a good program for every child, children who have difficulty seeing the whole or gestalt are often misunderstood and misidentified by both teachers and administrators. Whenever I take a class or a workshop, I always think about my current caseload and how components of the program presented might work with a particular student. Visualizing and Verbalizing sent my head spinning, not just about how certain students might benefit but how I address remediation of Higher Order Thinking in general. I work with older students, mostly middle school. Visualizing and Verbalizing has been out for years but I never got the impression it targeted older students. In fact, I believed it only targeted younger students with reading issues. At my old school, a Visualizing and Verbalizing kit sat on my shelf for years gathering dust. Now, after learning more about the program, I now know Visualizing and Verbalizing can work for middle school students. My initial reasons for taking the workshop were selfish. I needed continuing education hours and it was close to home. It was also about time I learned what Visualizing and Verbalizing was all about. What I learned was that the Visualizing and Verbalizing program focuses on developing the underlying skills necessary for comprehension and higher order thinking. Most of my therapy with the typical language disable middle school student, focuses on developing higher level language tasks or higher order thinking (HOT) as referred to in the Visualizing and Verbalizing program. Higher order thinking includes such skills as understanding humor, perspective taking or problem solving (there are many higher level language areas, those are just examples). There have been moments where I’ve often wondered if my students even have the underlying skills to understand the subtleties of humor, the whole perspective of another, can plan different scenarios for solving a problem or can even see the steps to solving a problem. If a student only comprehends certain parts of a problem, situation, idea or context rather than whole problem, situation, idea or context, difficulties or misunderstandings will arise. As mentioned above, comprehension difficulties are not limited to reading but can also affect understanding in math, academic content and social/pragmatic situations. Basically, if a student misses information or can not “connect the dots” they will have difficulty understanding the gestalt or the “whole”. 1. Children who have decoding problems spend so much time decoding they miss content. If a middle school student cannot decode we are worried. Instruction will obviously focus heavily on decoding. While decoding instruction is desperately needed at the middle school level, comprehension demands also grow by leaps and bounds. We usually see a wider gap developing between decoding and comprehension in middle school creating significant academic issues. I believe the Visualizing and Verbalizing program was originally designed for these students to help them gain awareness of comprehension demands. 2. Children with attention issues may be reading or listening to words but not concentrating enough to take it in. Thus, comprehension is lost. Have you ever had to read a page over again because you were distracted? Well that happens to ADD kids all the time, even kids on medication. They haven’t learned to pay attention or listen. These children may also fall into the two categories mentioned above. When you work with students who have a history of intermittent loss, especially at the younger levels, you can usually tell something is wrong but can’t quite put your finger on it. Several components of the Visualizing and Verbalizing program combined with a strong phonics program could be extremely beneficial for these students. 4. Children diagnosed with a nonverbal learning disability. Talk about students who cannot see the “whole”. These students tend to have a weak sense of humor, difficulty with abstract comprehension/thinking and difficulty organizing higher level language in terms of being able to make a point with supporting details. Visualizing and Verbalizing could not only help develop higher order thinking, it could hopefully help them identify or at least increase awareness of “the missing piece or pieces”. 5. Children with very low cognitive skills, maybe even my autistic students where the main goal is to expand language, add descriptors, improve grammatical usage and increase vocabulary. If it also helps them increase comprehension and see the gestalt those would be an added bonus. I can actually visualize and understand how the Visualizing and Verbalizing program could be used for all these purposes and at many different levels. As speech language pathologists, we are skilled at being flexible with instruction and able to modify lessons as needed. Visualizing and Verbalizing is an adaptable program, the student’s response and progress directs their movement through the program. I actually feel that as a speech language pathologist with many years of experience, I have an advantage and advanced skills when it comes to modifying to specific needs and levels of development. I am a little concerned that many of my middle school students will feel this program is a little babyish for them. However, I plan to address this by using pictures that are more mature, expecting a little more from them at each level in terms of content and written product and increase role playing. I am sure once I try this program with older students I will have a better idea of what modifications I need to make. Since this is a reflection paper, I feel I have to get on my soap box at least once. With the introduction of the “whole language approach” to reading in the early to mid-eighties, we’ve lost strong phonics instruction at the early grades. The people making decisions in the field of education seem to focus too much on content, too early. Content is important, however, the content is often too high from a developmental perspective. So not only have students lost what I feel is necessary phonics immersion, they are also presented content that they may not be able to grasp, have the necessary background/experiences to understand or just plain don’t understand the vocabulary even in context. With a lack of phonics and a lack of comprehension, there is a higher chance that some students will not develop appropriate decoding skills and/or misunderstand content. Both of those factors could lead to significant reading disabilities in some students. 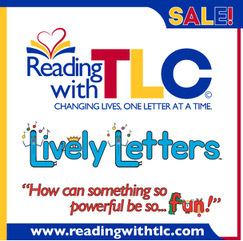 In my experience and observation of school based reading programs, reading programs heavily laden with phonics and phonics drill during the early years, appear to be more successful in developing overall reading skills. Jack will generate ideas and formulate complex sentences, (grammar, word order, logic and increased detail) about pictures of situations, interactions or events both spontaneously and when incorporating selected vocabulary. My theory has always been that the kids have to be able to do it verbally before they can write it down. 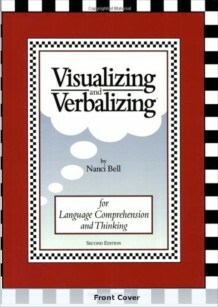 Now Visualizing and Verbalizing has given me a systematic method to help them expand language, increase comprehension of higher level language and perhaps speed the process along. Speeding the process along is important at the middle school level because writing demands increase significantly, higher order thinking is expected, students are preparing for high school and the three years tend to fly by very quickly. I am fortunate that in my school I have both a reading specialists and a special needs teacher to address reading and writing issues. However, I now see even more clearly that their work cannot make the expected progress if the student does not have the necessary underlying language comprehension skills, skills that the Visualizing and Verbalizing program can help develop. I look forward to incorporating Visualizing and Verbalizing into my therapy next year. However, with an integrative therapy model pushed at the administrative level, I may not be able to work as intensely with students to make the expected progress or to move the program along quickly enough to keep the student interested Lack of individualized intensive services is my concern with all aspects of therapy under this model. However, I can try to encourage teachers to include aspects of the Visualizing and Verbalizing program in their presentation. I believe this will be difficult at the classroom level for two reasons. The students who can significantly benefit from the program won’t get the tailoring or intensive practice needed to make a significant difference and the rest of the students will find it too easy or more of a fun activity. It might be easy to get teachers to buy into the theories behind the Visualizing and Verbalizing program but getting them to use it, well; I don’t feel that will happen. As we know, teachers have a lot on their plate already. If I am able to work with students on an intensive level, I hope to see immediate progress within all the subgroups mentioned above. Looking at my standard goal, there is really no way to measure it other than formal testing one to three years down the road. With Visualizing and Verbalizing, I will be able to measure progress obviously as the child moves through the program. What I expect to see outside therapy will differ based on the students individual disability. I want my low cognitive kids to expand language, I want my NLD kids to see the “whole”, I want my ADD kids, kids with decoding issues and kids with a history of hearing loss kids to learn to listen and to take the time to enjoy content, I want all my kids to improve their comprehension of higher level language and hopefully their writing skills. I guess I have high expectations, maybe too high. We’ll see. I look forward adding Visualizing and Verbalizing to my therapy repertoire. I wish I picked up this old but exciting program a little sooner. Do you know of any programs/training similar to LindaMood’s V/V? The training dates/times are few and far between for the upcoming year, but I am very interested in the concepts and strategies taught. Sorry Julie I don’t. I know many reading teachers get trained in similar methods but they focus more on the visualizing part without really getting the theories and methods behind v and v. I like v and v because it pulled all the pieces together. I plan on using the program for a fifth grader, but am struggling with the wording of a measurable goal and benchmark objectives. Can you help or direct me to a site? You know we asked the same question at the training. The trainer (who works in private practice) did not have a standard answer and we as a group designed a goal. Let me see if I can find the info in my folder at school on Monday. I am curious if you have located any research to support the use of this program with children who are deaf or hard of hearing. I was excited to read your thoughts! I can’t say that I have. However, VV works a lot on identifying/using details, considering background information and hightening awareness….everying hearing imparied children need. When I took the course the instructor focused soley on reading benefits but I saw it for so much more. Glad I came across your V&V article. I’m a teacher of the deaf & heard of hearing and attended a Talkies workshop and hoping to attend the V&V workshop, scheduled in January. My question is, how does one write an IEP goal for using the V&V concept? I want to implement this with my students and our department is encouraging us to use it but I”m stumped in how to write goals. I realize ultimately, it helps with reading comprehension, so perhaps writing the goal from this perspective? Any information you can provide is much appreciated! Thank you for this insightful article! We actually asked the same question at the training. It was suprising that there wasn’t a general goal. I have some samples and I will get back to you. I am curious if anyone ever found some IEP goals that reflect the use of V and V.
Hi, I would love a sample of how to write an IEP goal as well if you have one to share! !